Co-Create Paradise » Thrive: What On Earth Will It Take? 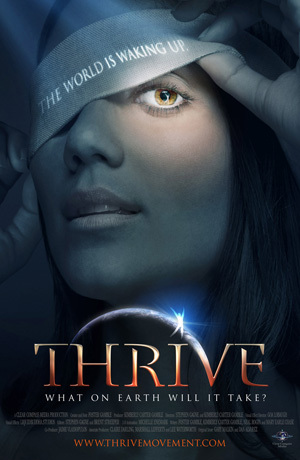 THRIVE lifts the veil on what’s REALLY going on in our world by following the money upstream — uncovering the global consolidation of power in nearly every aspect of our lives. Weaving together breakthroughs in science, consciousness and activism, THRIVE offers real solutions, empowering us with unprecedented and bold strategies for reclaiming our lives and our future.